Patriots Defensive Recap vs Buffalo: A Long Day For Tyrod Taylor | NFL News, as it happens, when it happens. Your one stop shop. One of the biggest keys entering Sunday’s game against the Buffalo Bills was for the Patriots to contain and limit Bills quarterback Tyrod Taylor. The Patriots ended up doing this and one of the biggest reasons for this was Chandler Jones, who had a great game recording three sacks on the day. Entering the game I said Tyrod Taylor would give the Patriots defense problems due to his mobility, he did do this at times but New England’s defense was able to transition throughout the game and limit Taylor’s effectiveness. On the day Taylor was 23 of 30 passing the ball for 242 yards with three touchdowns and three interceptions. He also added 43 rushing yards on five carries with a touchdown. Taylor had a decent game and the numbers make it look better than he performed, besides the three interceptions and a strong comeback performance towards the end of the game when the Patriots began to struggle. The first drive of the game for Buffalo was a strong one, driving down the field and scoring a touchdown. 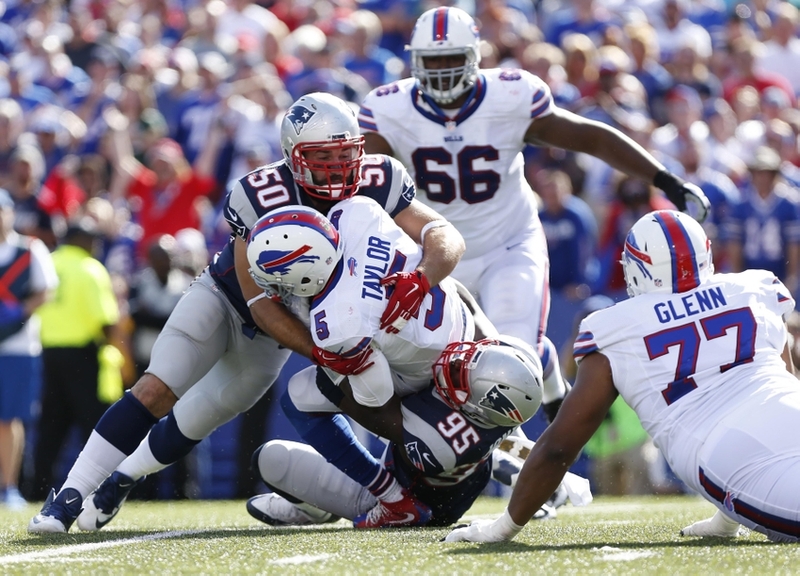 New England defense then stepped up for majority of the game shutting down Buffalo’s offense. Two key players were defensive end Chandler Jones, and linebacker Jamie Collins. Both recorded multiple sacks on Taylor (Jones 3, Collins 2.5), and also set the outside edge, which stopped Taylor from being able to scramble to the outside and break off large gains. 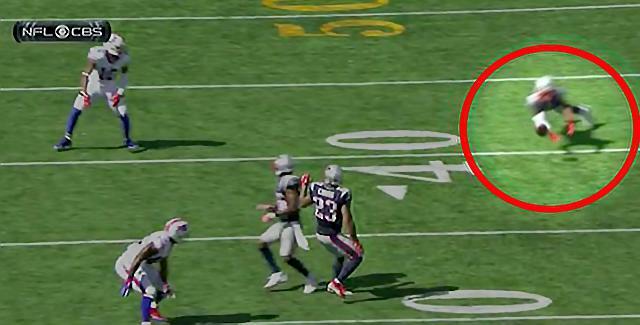 Another player who played well defensively for New England was cornerback Malcolm Butler. This is nothing new to hear for Patriots fans, Butler has been making headlines with his play over the past few months and is looking like he can be a number one corner in the NFL. Butler made a great play off a tipped pass to make his first career regular season interception. With the good of the Patriots defense against the Bills there was also some bad. The team gave up 160 yards on the ground. Stopping the run has been a problem for the Patriots over the past few seasons and has been so far this year against both the Bills and the Steelers. Another problem was the team allowed Tyrod Taylor to complete 76.7 percent of his passes. Elite quarterbacks will take more advantage of that than Taylor did, though he performed well besides the three interceptions. Part of the defensive struggles are due to the offense, who struggled in the second half including two failed fourth down conversions, which gave Buffalo good field position on both occasions. Overall it wasn’t a great defensive performance from the Patriots but it definitely was not terrible. There are things they did really well and some things they need to improve on over the next few weeks. What I can say though is at this point in the season the Patriots look like the best team in the NFL, and it isn’t that close.